Teaching of forensic medicine starts from 3rd year of MBBS. Different terms like forensic medicine, medical jurisprudence and legal medicine are used to denote this branch of medicine which deals with the application of principles and knowledge of medicine for the purpose of law, both civil and criminal. Unlike the previous doctors, today’s physicians are dealing with new and multiple problems, which have an effect on science, ethics and law necessitating the need of attention of best minds in medicine, jurisprudence and law.Spread of the violence and increase in crimes has also aggravated the problems for the practicing doctors due to which it is now appropriately constituted as an integral part of undergraduate and postgraduate medical curricula. It is essential that the medical student gains a clear understanding of the practical, legal and philosophical issues in forensic medicine during the course of his or her training. The Department of forensic medicine is located on the fourth floor of the BUMDC building. It comprises of forensic museum, laboratory, tutorial and demonstration rooms. Museum of forensic medicine is well equipped with weapons of assault, models, CD`s on different cases of post mortem examination. 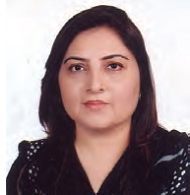 Forensic as well as toxicological specimens, medico legally related X-rays, Forensic & toxicological slides, microscopes, spectroscope, human skeleton and separate bones, autopsy kit (box), abortion set and the facility of multimedia for better teaching of future graduates. Student observes medico legal cases and autopsies at JPMC-Karachi as a part of practical work of the subject. 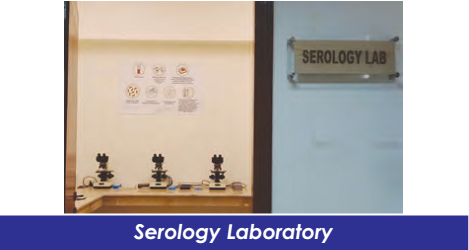 Recently a serology laboratory has been set up to further groom the students with the subject knowledge.